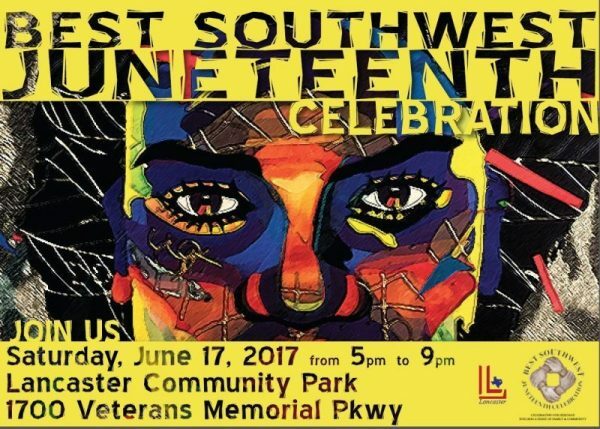 Honor Juneteenth with these local celebrations. June marks the start of summer, meaning you have plenty of time to make a Dallas weekend getaway to enjoy the warmer temps and sit poolside. But for many African Americans, this month – specifically June 19th – also commemorates a significant moment in history with a nationwide celebration in remembrance of the official end of slavery in the United States. The day also serves as a time to celebrate culture, pride, diversity and community, and Dallas certainly holds true to the tradition with several fun events happening throughout the city. Take in the sounds of local jazz favorite Martha Burks as she takes the main stage at Juneteenth Jazz Jam, happening at the Clarence Muse Café Theatre just steps away from the Kay Bailey Hutchison Center Center in Downtown Dallas. Burks returns for her thirteenth consecutive season and will perform a mix of jazz, blues, R&B, pop and soul. Tickets are $15, so reserve your spot here! A Dallas staple every spring, the annual Dallas Juneteenth Festival is a must-see for everyone in the family. 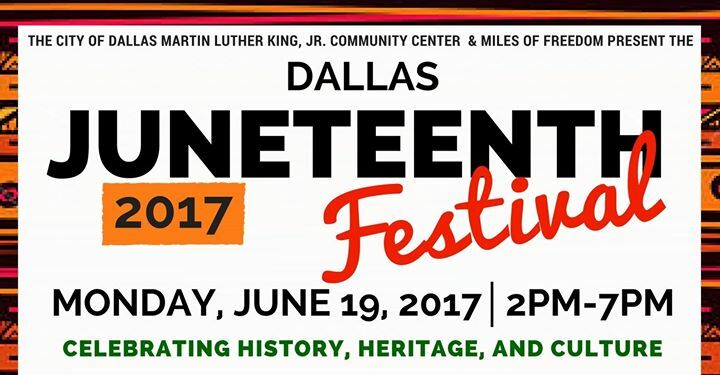 The Dallas Juneteenth Festival is free and will feature live music and tons food vendors to enjoy throughout the day. And there's a plethora of things to do for the kids with bounce houses and a petting zoo as the highlights. See an impressive, free exhibit at the Dallas Historical Society that celebrates the freedom of African American slaves. Items on display will include the only known original copy of the General Order No. 3 that officially declared the freedom of slaves. Celebrate at the Lancaster Community park with a free festival that's fit for the whole family. Enjoy art work from local artists, musical performances and food all day long. Born and raised in the Big D, Jasmin is a proud Dallasite and entrepreneur who has called downtown Dallas home for the last eight years. A lover of live music, anything spicy and hanging with her dogs Raisin & Cash, Jasmin proudly considers herself a member of #Team75201. You can often find this SMU alum grabbing cocktails with clients at the Joule Hotel or scoring unique finds at the newly opened Forty Five Ten on Main. Deep Ellum's rich cultural flavors and artistic roots has made it a mecca for all things urban art. The MegaFest returns to Dallas this June! And it comes with a little bit for everyone in the family. Summer is near, so it's time to start planning your Dallas getaway.